rowl gave this 5 stars! 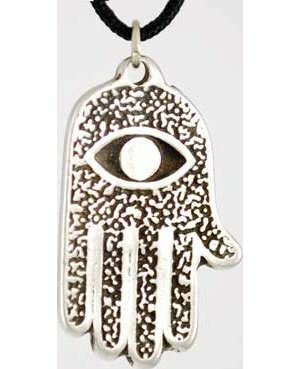 The All Seeing Eye held in a Hamsa Hand protects against curses and evil. It stands about 1 1/4 inches tall and 3/4 of an inch wide. It comes with a black cord so that the amulet may be worn as a necklace. Dear Reader, This is a wonderful amulet to have and the bonus is that it is two sided. I like that it works efficiently and effectively I like how the energy feels and how it protects from the evil powers and curses, this amulet is so powerful that I have been blessed to find such an amazing product thank you for having the All seeing eye amulet. And for sharing this with people of the magic arts. Thank you, Sincerely, rowl's.